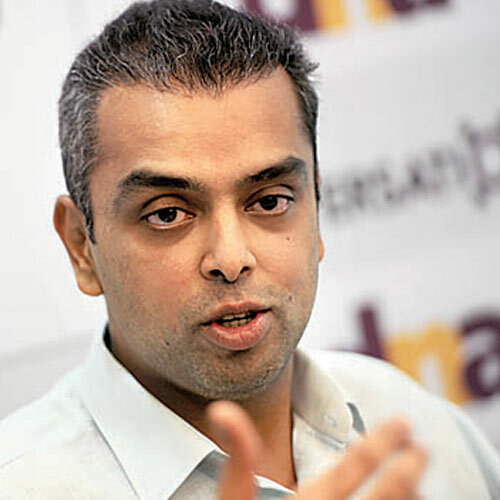 Milind Deora, 37, is serving his second term as the Congress Lok Sabha MP from Mumbai South. He is also minister of state for the ministries of shipping, and information technology and communications. Deora, son of industrialist and Congress veteran Murli Deora, is one of the youngest members of the Lok Sabha. Among his core interests have been governmental transparency and accountability, urban infrastructure and youth. He is contesting the Lok Sabha elections from Mumbai South, for the Congress, again this year. Here, he speaks about the work he has done, the work he wants to do and the UPA. (Watch the video here). Can you tell us about some of the projects, big or small, that you have worked on in your constituency, which you are happy with the outcome of? Well, there are a couple of issues I’ve been concerned about and remain concerned about. One of the biggest issues plaguing not just Mumbai or South Mumbai but urban areas in general is the fact that builders and developers – there are good developers and bad developers – so the bad ones can cause a lot of havoc with the system. And for a long time there was a demand to have a housing regulator in the city. I’m proud to announce that Maharashtra government is the first state in the country to have a housing regulator and that will prevent issues, like Campa Cola that happened sometime ago, from ever taking place again. It’ll protect homeowners and home-buyers, I believe Mumbai and Maharashtra shouldn’t be the only state that has that. I think it should be a pan-India housing regulator. And the good news is that there is a bill pending before the Parliament called the Real Estate Regulation and Development Bill and that is a bill which I hope that the next government will pass after June. Besides that there have been a lot of infrastructure projects from the city of Mumbai which I’ve made sure happened in the last five years. In 2009, the Bandra-Worli sea link was not open to the public. We opened it shortly after the elections. We have an Eastern Expressway project, freeway project, which connects South Mumbai to Chembur which has made it very easy to commute from the south to the north and vice versa. There are a lot of public transportation projects – the Metro, which unfortunately is delayed, but also the monorail. Bringing them to South Mumbai is part of my plan. And I, as a minister of state for shipping in the Government of India, I believe using our waterways is a very effective mode of transportation. India as a country uses just about 1% of its waterways for transportation, while countries in Europe use almost 30%-40% or even 50% of their waterways for transportation of cargo, passengers. For a city like Mumbai allowing people to commute by waterways, is a project which I am going to work with the state government on. So these are some of the initiatives that I have been proud of. More importantly, I think the main thing that I am very proud of in the last 10 years is that I’ve always spoken and raised my voice for the people of my constituency over vested interests. And there are many examples of that but two of the best examples that I can think of are to regulate radiation from mobile towers and that from mobile handsets. As minister of state of communications and IT, we’ve set very, very effective regulatory safeguards and standards and limits. And today, India is one of the few countries in the world which has very stringent radiation limits for both mobile towers and for handsets. And this was completely against the industry lobby. Even on the recent ordinance issue, which would have allowed criminals to be MPs and MLAs, I was the first person who spoke out against that. I was actually going to ask you, can you think of anything that you wanted to work on but, for any reason whatsoever, couldn’t work on during your terms? Well, obviously there are a lot of unfinished tasks. For the city of Mumbai, for instance, I firmly believe in a trans-harbour sea-link, which will connect the city to Navi Mumbai. And I think it’s important for many reasons. It’s important from an affordable housing point of view. It’ll do away with the slum problem that we have in our city. It will allow more people to have access to affordable housing. It’ll ease a lot of transportation woes. It will connect Mumbai, Pune, and the entire industrial corridor. I’ve been pushing for that to happen but unfortunately it got delayed due to various reasons, largely around the area of economic viability. As minister of communications and IT, I have spearheaded a very big e-governance initiative where we’ve tried to bring more and more government services to the electronic and online form and it’s led to enhancement of those services. Today, people can file income tax returns and apply for passports online. Expanding that, taking that to more government services, is also part of my plan. Any plans for the dockyard area in Mumbai in particular? Re-thinking that area, restructuring it? Well, that’s land owned by the Port Trust and as a minister of state for shipping, we have given freedom to the Port Trusts to create estate policies with regards to how they can develop those lands in non-core areas, which is land not used for Port and commercial activities. So that is an estate policy that the Mumbai Port Trust is working on. I think we’ve done a lot of work on it and once that policy is ready, I think it’s going to provide lot of relief to people living around those areas. It’s going to allow for land to be developed in a very sustainable, holistic manner. It’s going to be a good for the Port Trust, it’s going to be good for the city and it’s going to be good for the citizens. If you are re-elected what might be some of the national issues – of course, you mentioned the regulatory bill – but other than that, policies or legislations that you would like to work on or bring attention to? I think when we talk of corruption for instance, right now unfortunately the narrative and public discourse in our country on corruption is that you are either for the Lokpal (bill) or against it. Most people may not even know what the Lokpal is, and how it can prevent corruption. While I believe laws are important and Lokpal is an important legislation, I am not sure if more government or more bureaucrats is the answer to reduce corruption. I am not sure if having a new set of bureaucrats who are going to oversee another set of bureaucrats who are already overseeing another set of bureaucrats is going to reduce corruption. I think we, instead of adding layers, need to do away with layers. We need to make governments smaller and smarter and I fundamentally believe in the power of e-governance. I think using technology in government to do away with the certain interfaces between the citizen and government, that’s the way we are going to reduce corruption. So there’s a bill pending before the parliament, the Electronic Delivery of Services (EDS) bill, which mandates that more and more government services have to move online. And that, in my view, is a critical bill. You have campaigned in this constituency before. Does this campaign feel any different? In some ways it’s always different. There are always new dynamics, some positive, some negative. What hasn’t changed is that my election is still one where I am fighting parties like the MNS and Shiv Sena as my main opponents. Two of the candidates who fought against me the last time are fighting against me again. But much changes in five years. People have different views, there are new voters in the system. In 2004, when I was contesting elections, there were just 7 crore telephone connections in our country. Now there are 90 crore telephone connections. That many more people in the country and in the constituency have access to telecommunications services, information. In 2004, the RTI didn’t exist. Today the RTI is very vibrant tool used by the people to access information from the government. Also in 2009, almost two-thirds of the area was new for me. Today, after working in the area for five years, I know it very well. So those are good changes and obviously there are some bad changes. Let’s see how it evens out in the long run. Sure. What could be some of the pros and cons of the role that social media is playing in this particular election? I remember when I had returned to India in 2000, there were 10 lakh internet users in the country, and, that too, on desktops and dial-up modems. Today as a minister of state for IT and communication, I am very proud to say we have 24 crore internet users in India who access the internet from their mobile phones. That means there are so many more people communicating, sharing information, opining on information. And in that sense social media is very, very important. Is social media the only way to fight and win an election? No. You need to have everything, you need an offline strategy and an online strategy. The Congress is on a backfoot this election despite the work done by UPA-I and UPA-II. Do you feel there is anything that could have been done differently in the last five years to better secure the party’s chances? I think we could have communicated our strengths a lot more effectively. I don’t think we communicated effectively enough that we brought the RTI to improve transparency and enabled millions of people to have access to mobile phones and the internet. I don’t think we countered a lot of the criticism against us, allegations against the party and the government, many of which were grossly exaggerated or untrue. In politics, communication plays a very important role. You can’t just sit back and say, I’m working behind the scenes and people will get to know what I am doing. There have been steady reports of factionalism within the Congress in Maharashtra. How can the party restructure and re-imagine itself in the long term – I don’t mean just for 2014 – to work more cohesively? Well I think we’re pretty cohesive compared to what’s happening with other parties right now. I don’t know. There is clarity of purpose. People are allowed to speak their minds; people are allowed to be consulted. I am able to criticise people in my party if I feel they’re doing wrong, and I don’t get reprimanded. I don’t see that in other parties. But there’s obviously room to do more, there’s room to be much more coherent, to communicate more effectively, to respond to challenges more effectively. That’s something we need to learn and reinvent ourselves. At the ground level we have started a primary system as an experiment and as a pilot. We’re the first party in the country where party cadres will decide who should be their candidate in particular areas. Has it worked as a pilot? To a good extent, yes. But is it the future of the Congress party? I believe so. I believe that in the next three-five years, you will see every election that the Congress fights, whether it’s a local election or a national election or a state election, leaders and candidates will not just be thrust and parachuted onto the cadres. It will be from the bottom up, just like in countries like the United States. And I think that’s a very refreshing change for our party, and it’s going to mobilise our party cadre, it’s going to get them enthused in the years to come. The national campaign is being led by Rahul Gandhi for the first time. How is it faring according to you? We believe we are projecting a united party. We are not letting the Congress, which is a huge movement – it is much more than a political party – become a one-man show. And I think that is a fundamental difference between us and the opposition out there. We understand we’re going through a transition in our party. There’s a generational change happening in our party. We want it to be done smoothly, we want it to be done where we have a mix of experience and youth. We want the enthusiasm that youth brings to the table. But we also want the wisdom and the grey hair that age and experience bring to the table. And we’re trying to do that cohesively and simultaneously. What keeps you going in the face of so much backlash against your party? What keeps me going personally in my constituency is that there’s a large number of people who identify with me and my politics, and see me as a person who has his own views, his own opinions, who hasn’t been afraid to speak his own mind and has his own individual identity. Parties do well on some days, and not so well on some others. But ultimately it’s good candidates that matter. I’m not a candidate who just parachutes in once in five years. I’m from here, I live here, I’ve worked for the people, I’ve served the people. That’s why I believe they’ve elected me twice. And that’s why I believe they’ll elect me a third time.